Still testing my ability to move around with new technology. If you see this post please leave a comment to let me know. As soon as I get 15 comments I will post the next giveaway and your comment will count towards the next giveaway. Thanks. 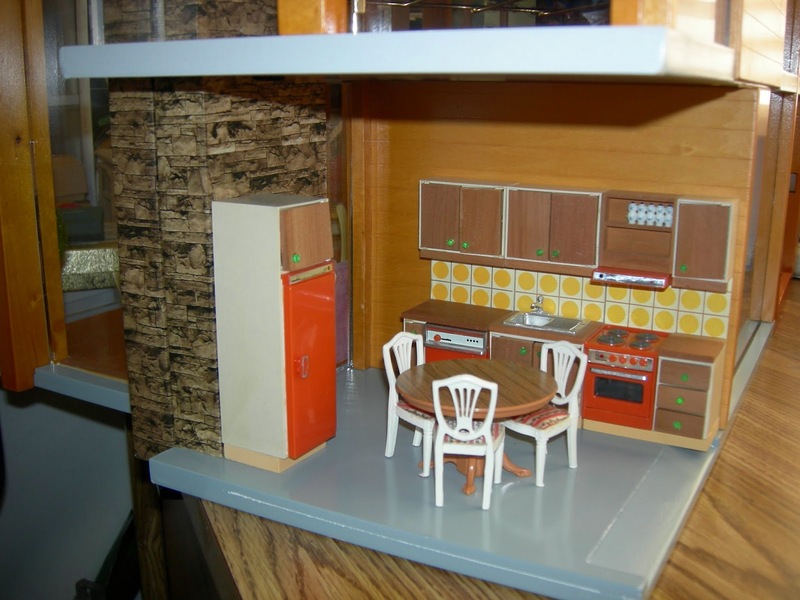 This cutie kitchen was taken from my Lundby house and I am testing it to see how it looks in my Emerson house. It is the only picture I have available to use for this test. Thank you for following my Blog and for your comments. I figure both houses are the same scale. The kitchen looks as if it belongs there. I would love to have a colorful, bright kitchen like this in real life. In my opinion the Lundby kitchen looks very well in your Emerson house. Your post looks gorgeous with the very esthetic view to the lovely kitchen! Fear not, your post worked. the kitchen is just beautiful. The Lundby kitchen looks right at home in the Brinca Dada house. No problem with your post :) Wonderful kitchen it is very detailed. Hola Felma!! Veo tu entrada perfectamente. Bonita cocina y mas bonita la nevera de un color muy alegre. Beautiful kitchen. I loike the colors. It's a nice kitchen, I have it myself too =) It goes well in your Emerson house. All worked just fine -- excellent picture and the kitchen fits nicely in the Emerson. Thanks for sharing. Ohhhh, cosas nuevas, me encanta tu cocina!Sale en tu blog perfecto!